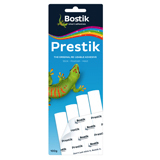 A clear drying adhesive - specially developed to provide superior performance for arts and crafts projects. 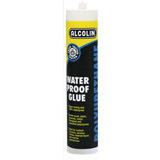 A general purpose water-based sealant that is used for caulking, grouting, jointing, pointing and embedding. It provides excellent adhesion to most materials and is paintable in 1 hour. Super quick, super strong, mulit-purpose cyanoacrylate glue. 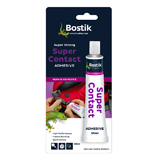 A high quality, neutral-curing silicone sealant with excellent adhesion that provides a permanent, flexible, durable and watertight bond. A strong, clear and quick drying adhesive - ideal for sticking all types of wires to walls and ceilings. A stong, clear and quick drying adhesive - ideal for sticking all types of wires to walls and ceilings. 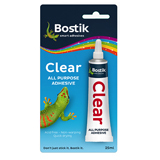 All-purpose adhesive which is clear, strong and quick drying. The original PVA glue - great for general woodworking and gluing of soft and medium hardness woods. 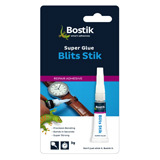 All-purpose adhesive with high immediate bond strength and good brushability. Ideal when an instant bond is required. 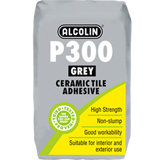 A high strength, flexible adhesive which is used to bond polystyrene, plaster and polyurethane cornices onto cement, plaster and painted surfaces. Where a fast setting glue or invisible glue line is required. Dries fast and clear. Expanding polyurethane foam, which is used to fill, seal and insulate. Ideal where gap filling properties are required e.g. the gap between a wooden door frame and brickwork. 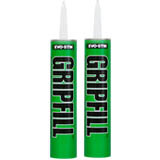 A universal adhesive - used in place of nails and screws to bond virtually any rigid material together, regardless of the evenness of the surface. 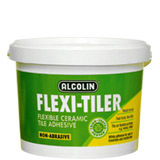 A ready-mixed, flexible tile adhesive that acccommoodates small dimensional movement. 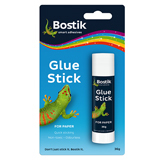 Easy to use, quick setting, non-wrinkling paper glue that is solvent free and non-toxic. A solvent-borne, rubber resin adhesive that will bond virtually any rigid material together, regardless of the evenness of the surface. 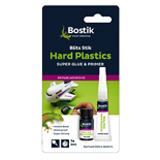 A super glue and primer - for instant bonding of most common hard plastics. Suitable for polyethelene and polypropylene. 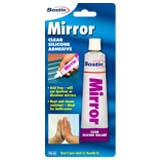 A high quality, neutral-curing silicone sealant that provides a permanent, flexible bond for mirrors to painted surfaces, plaster, metal, or wood. 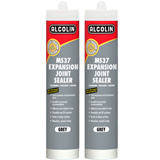 An elastic sealant for expansion joints in concrete, screed, plaster and boards, that remains flexible, allowing for up to 25% movement accommodation. A cement based tile adhesive that is mixed with water for fixing ceramic wall and floor tiles to concrete, cement, plaster or brick. The original re-usable adhesive that is clean, safe and easy to use. It has 101 uses in the home, office and school. Wood glue for stress joints e.g. furniture. Also ideal for wood turning. 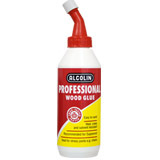 An excellent glue to bond hard and oily wood. The glue line is yellow and matches pine wood colour very closely. 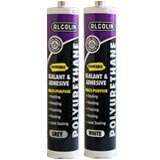 A polyurethane adhesive and sealant with permanent elasticity. Use where a more flexible and durable bond is required. 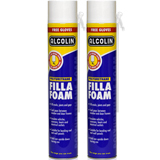 A solvent-based welding adhesive that provides a strong joint and seal when joining rigid PVC pipes and fittings. Suitable for high and low pressure applications. 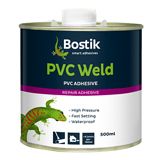 A solvent-based welding adhesive that provides a strong joint and seal when joining rigid PVC pipes and fittings. Suitable for low pressure applications. A clear and fast-setting polymer that mixes easily to enable fast and permanent repairs. Great for small repairs. Use where a clear glue line is required. Sets in 10 minutes. 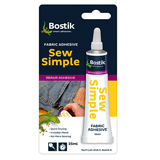 A solvent-free, natural fabric adhesive - used to permanently bond and repair clothing and fabrics. Washable, ironable and flexible. Suitable for most shoe repairs. 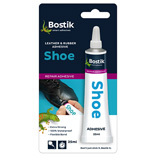 Will bond most plastics, rubber, leather uppers and shoe soles together. 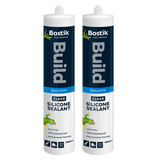 An acetoxy-curing silicone sealant that provides a permanent flexible watertight seal for general purpose sealing in and around the home. Use for a flexible joint. 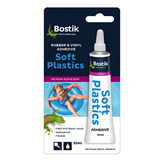 A clear water-resistant polyurethane adhesive - for long lasting repairs of objects made from soft and flexible plastics. Not suitable for polyethelene and polypropylene. High performance adhesive that bonds most surfaces instantly. Super fast setting cyanoacrylate glue for small repairs. Ideal for quick bonding of small parts. Ideal where a water resistant bond is required e.g. outdoor furniture that will be varnished. The glue line is brown in colour and cleans up easily with water. 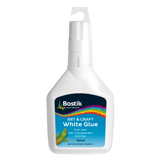 A polyurethane glue which is perfect for use where a waterproof bond is required e.g. external furniture. Use for a rigid bond. 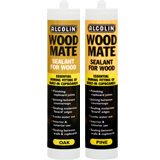 A siliconised acrylic sealant for wood that locks out water, resists moisture and mildew, and is odour free. Use if you want to match the colour of the wood.